Outsource Content Writing: Why India? Why not any other country in the globe? Why don’t you do this simple exercise before continue reading: go to Google, type the keyword “outsource content writing” or “outsource content writing services”. Before you can finish typing, pretty much like a thinking human, Google will complete your search with a suggestion “outsource content writing to India”. Why not any other country? 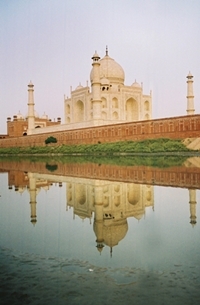 How does India become a hot hub for content writing? Will you outsource your content to India just because Google or any other search engine suggested that to you? Will you follow a pattern just because the rest of the world is practicing it? Let us give you a golden tip: do not buy into any practice without knowing the reasons. Obviously, no one will entrust a project to a content writing company in India just to save a few bucks. After all, Google’s new panda and penguin updates have announced to the world that it is quality that matters. Men can’t trick search engines anymore with any of those practices which served beneficial prior these updates. That comes down to a simple truth: it is quality that matters. Then comes the vital question: what about cost? Can we ask you something: if you want to outsource to your content writing services only to save money, why not consider countries with better conversion rates? We don’t mean to sound like a bunch of prejudiced nationalists here: but India, among all the countries in the South, has gathered attention in content writing industry for a good reason. Professional expertise. Where does the professional expertise of India come from? Reasons are many, we would say. Those reasons range from history to education. English, the mother tongue of content writing, has very strong roots in India. The colonial period had initiated an era of English education which equipped the country with people who mastered the niceties of English writing. Adding to the expertise is the educational factors. Many people in India are educated in English language along with their mother tongues. More than that, India is one of the first countries that recognized writing as a successful profession other than a mere creative pastime. As a result, the universities and training centers in India offer professional writing courses. To sum it up, when you decide to outsource content to India, you are not passing your requirements to a bunch of lousy writers; but a group of professionally qualified and trained writers are brewing content for you. By the 1990s a massive shift happened in the career choices of the youth in India, which, in many ways gave a boost to content outsource industry. It is a statistically proven fact that before the 1990s, the young people of India preferred the discipline of science over humanities. But in the last two decades, the career trends took a new and dramatic turn. Youth started choosing writing as an active profession and as result, professions such as content writing, technical writing, travel writing, article writing etc. got a renewed boost. To put it simply, the writers who work on your project when you outsource your company’s content writing services to India are writers not by fate but by choice. They know their trade well and they are best at it. A simple question: wouldn’t it be nice to give your content writing work over to someone, go to sleep and wake up in the morning only to realize that the work is on your table, done and completed? Yes, this is where geography comes into picture. Whoever created the earth, created it in such a smart way that nothing benefits from its structure more than content writing industry does.